DAVID LE/Staff photo. 2/19/15. 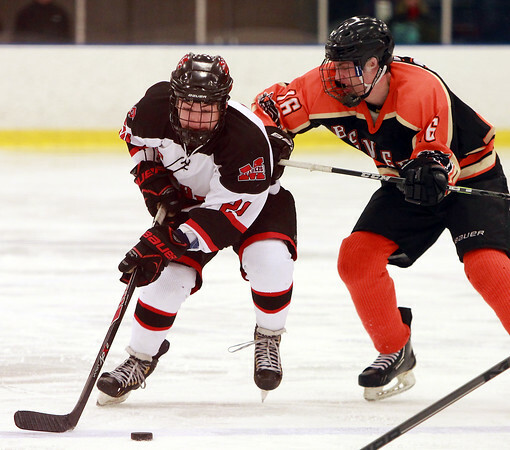 Marblehead sophomore forward James McCarthy (20) keeps control of the puck while avoiding a big check throw by Beverly junior forward Ross Wahl (16).